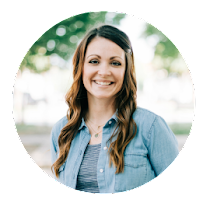 Do you want to host an event for your friends or a large group? 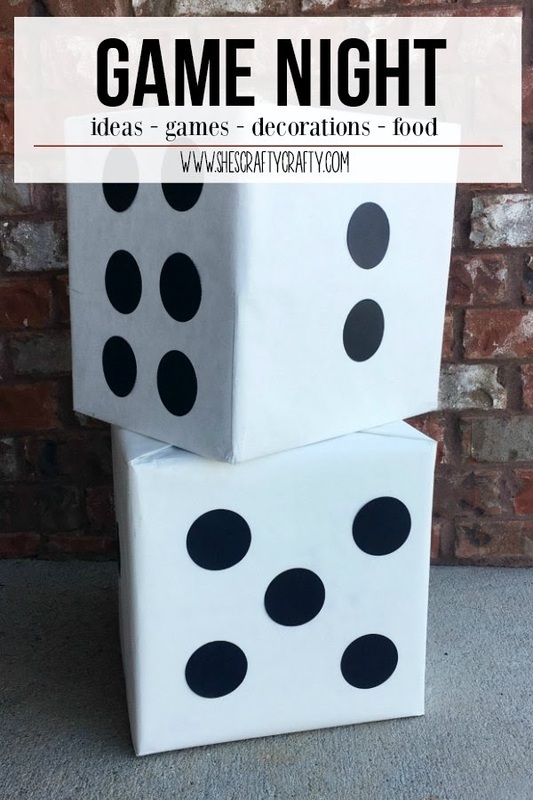 Host a Game Night Party! 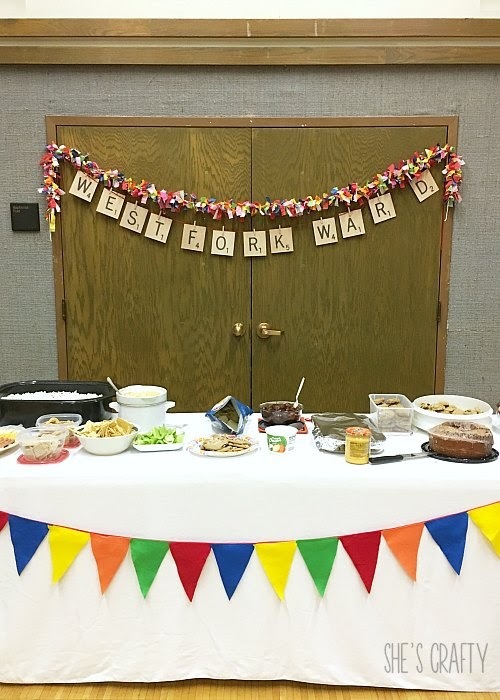 This evening was a Ward Party was held at my church. 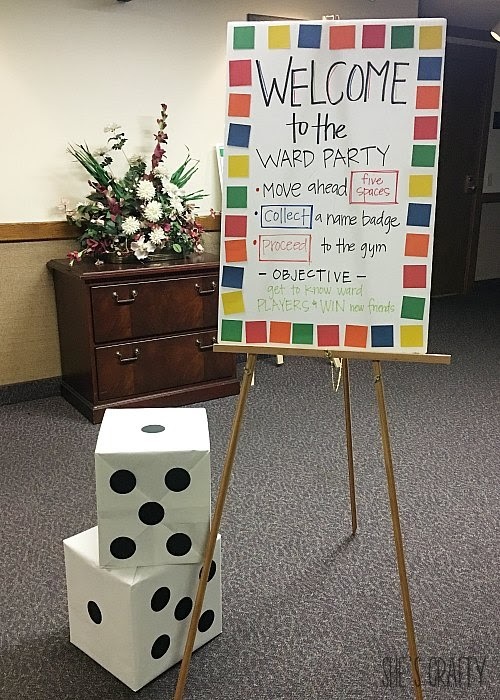 Our ward was recently split and boundaries were rearranged so we needed an activity to all get to know each other! 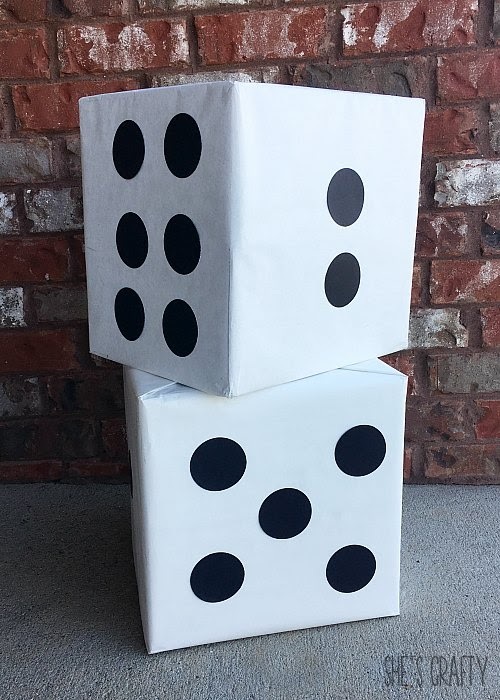 I made dice by wrapping 12 x 12 boxes with white wrapping paper. Then I used a large circle punch to create circles for the dice. I used a foam core board to make a Welcome Sign. I cut colored cardstock into squares and wrote the words with markers. 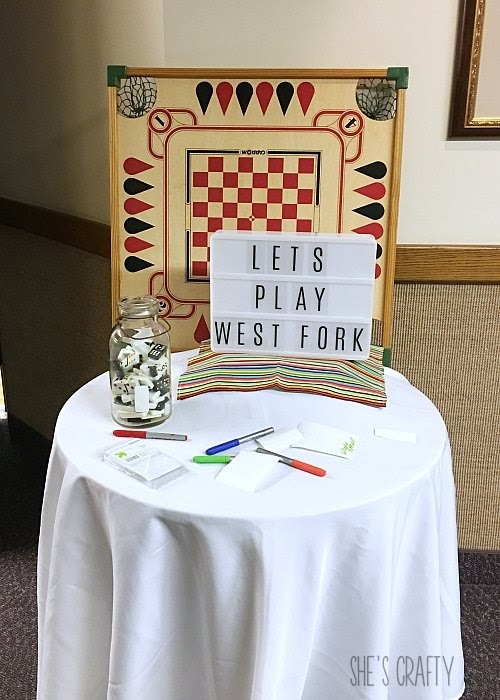 I used a game board, my lightbox, and a jar of vintage game pieces to decorate the greeting table. We had labels for name badges. I used a rag banner (tied strips of fabric to twine). I printed large scrabble letters and clipped them to yarn. I also used a felt pennant banner that was made from inexpensive felt sheets sewn to ribbon. drinks - I always use bottled water because it's inexpensive and easy to serve to a large group! On the tables, I used white table cloths. 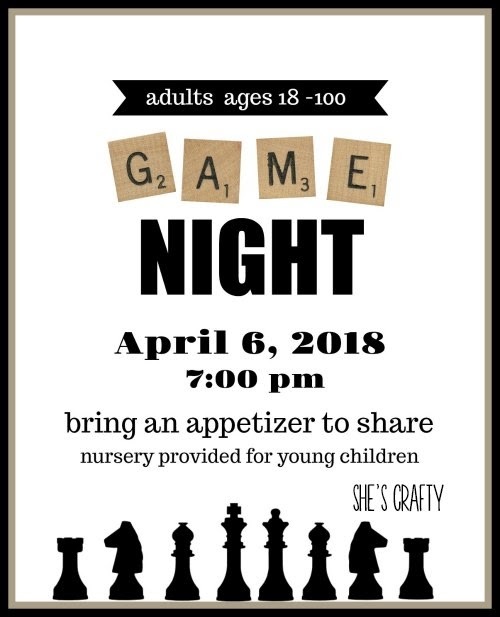 For centerpieces I used board games - a fun and functional centerpiece! Games were played in small groups at the tables. We also played Charades as a group. It was SO entertaining to laugh with friends! 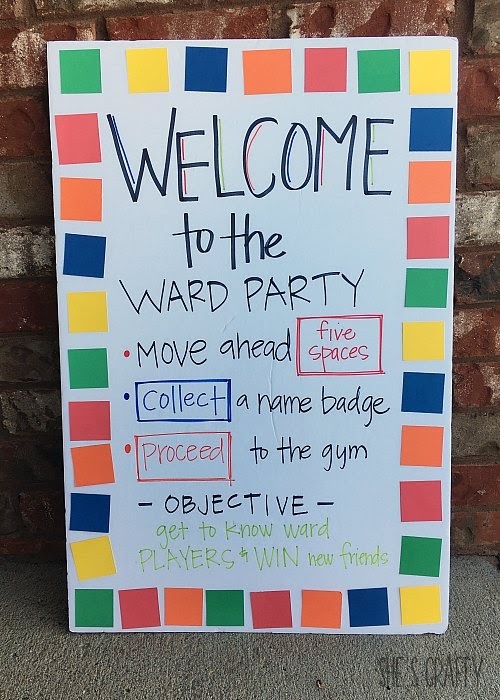 This Game Night Ward Party for a very enjoyable evening! 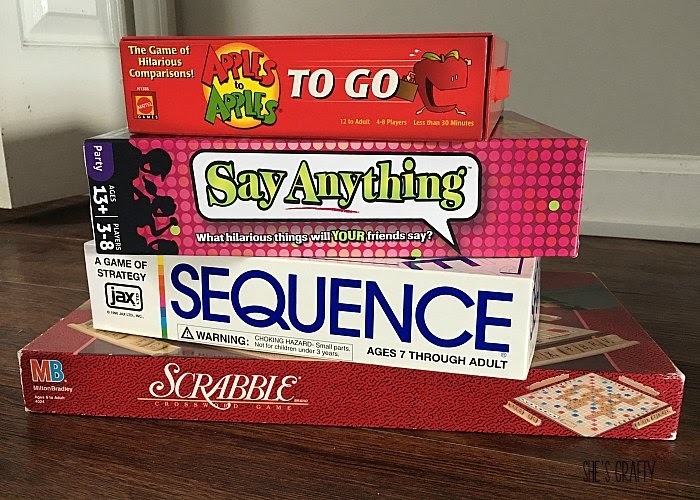 I totally recommend having a game night!